380 Automatic Colt Pistol (ACP) is a very popular round due to the conveniently sized firearms chambered for it such as the Glock 42 or the Ruger LCP. 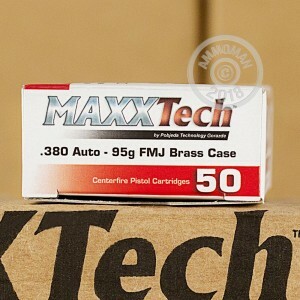 If you're looking to feed your pocket pistol at a low cost, then this is the ammunition for you. Pobjeda is an ammunition company located in Bosnia and Herzegonia (between Croatia and Serbia) which has decades of manufacturing experience. They are known for exporting ammo to Poland, Germany, Austria, Russia, and many other countries. The pride of their plant is the use of German-made Fritz Werner machinery, which is the same high quality brand of factory equipment used by many larger ammunition companies for their premium lines. 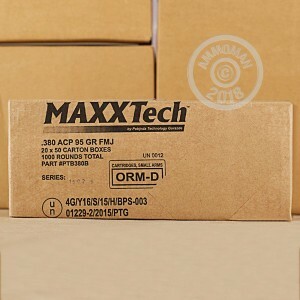 These .380 rounds feature full metal jacket (FMJ) bullets unlike the bi-metal jackets found in most cheap ammo from this region of the world. The cases are brass instead of steel and fitted with boxer primers. Out of a 4-inch barrel, the 94 grain bullet will have a muzzle velocity of 918 feet per second.